Apply every day on clean and dry skin with gentle massage movements until it is completely absorbed. Use several times during the day. 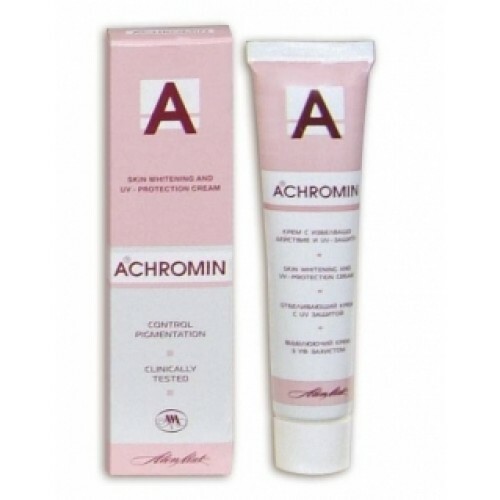 for maximum effect we recommend that you use all products from skin-whitening line ACHROMIN®. For best result use regularly at least 6 weeks.Fast and effectively removes dark spots all over the skin of face and body such as freckles, age spots, spots after pregnancy and others. The extremely whitening action is ensured by the active components that block the overproduction of the pigment melanin. 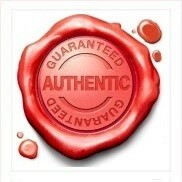 Contains UV filters for sun-protection. Appropriate for very sensitive skin. 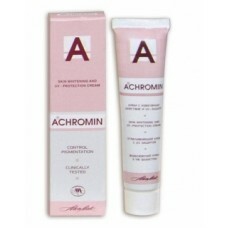 for maximum effect we recommend that you use all products from skin-whitening line ACHROMIN®. For best result use regularly at least 6 weeks.